The Mass. Supreme Judicial Court (SJC) issued its decision in the case of Isabel Kain and others vs. the Massachusetts Department of Environmental Protection (MADEP), issued on May 17. The SJC found that MADEP had failed to timely enact regulations mandated by M.G.L. c. 21N and the Global Warming Solutions and the Green Communities Acts of 2008. Chapter 21N, known as the “Climate Protection and Green Economy Act,” mandated that MADEP establish a comprehensive framework to address the effects of climate change by reducing emissions to levels such that by 2050, greenhouse gas (GHG) emissions would be reduced by at least 80% below 1990 levels, with additional benchmarks at various interval years. In its decision, the SJC addressed the legislative intent of the 2008 Acts and found that c. 21N requires MADEP to “promulgate regulations that address multiple sources or categories of emissions, impose a limit on emissions that may be released, limit the aggregate emissions released…, set emissions limits for each year, and set limits that decline on an annual basis.” The SJC discussed the three sources of emissions that must be addressed, including: (a) sulfur hexafluoride (a GHG); (b) the Regional GHG Initiative (“RGGI”) and carbon dioxide budget trading; and (c) low emission vehicles. Beginning in 2014, the plaintiffs, made up of four private citizens, the Conservation Law Foundation, and the Energy Consumers Alliance of New England, initially filed a complaint in Superior Court seeking a determination that the MADEP had failed to fulfill its statutory mandate under § 3(d) of c. 21N. Although the lower court found that MADEP “substantially satisfied the requirements of M.G.L. c. 21 N, §3(d),” the plaintiffs appealed the decision, which was subsequently reversed by the SJC. The MADEP must now prepare specific emission limits. Many believe these emission limits along with a mixture of other incentives, including hydro and wind power are the components that will enable Mass.to meet its mandated goals. 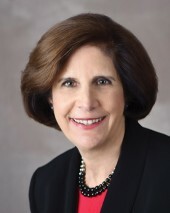 Susan Bernstein is an attorney at law, Needham, Mass.